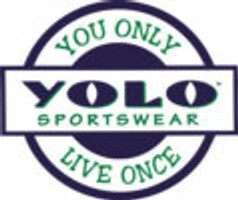 YOLO Sportswear was established in 1996 by Chris Fechter and Karen Forster, brother and sister. From our inception, we have been completely focused on field hockey and lacrosse. We are long time sponsors of USA Field Hockey and US Lacrosse, as well as the National Field Hockey Coaches Association and Shooting Star Field Hockey Tournament. In 2012, Karen left YOLO to pursue other interests, so YOLO is now owned solely by Chris Fechter. We are manufacturers of custom team apparel including sublimated uniforms, team packages, rugby shirts, shorts, sweats, tees, socks, bags, and so much more. Our line of apparel includes name brands like Under Armour, Asics, Warrior, and Brine, and we can service the needs of ANY SPORT OR ORGANIZATION. We take great pride in our customer service, timely deliveries, and exceptional lettering capabilities. Constantly pushing the envelope, YOLO is always looking for the latest and best ways to serve our customers with the most up to date styles and production options. YOLO also attends a number of field hockey and lacrosse events throughout the year, supplying some of the most desirable apparel available. We are currently the Presenting Sponsor of the USA Field Hockey National Indoor Tournament as well as exclusive Apparel Sponsor for the event. If you don't see what you're looking for here, we can probably get it. Please call us toll free 888-USA-YOLO or email info@yolosportswear.com.